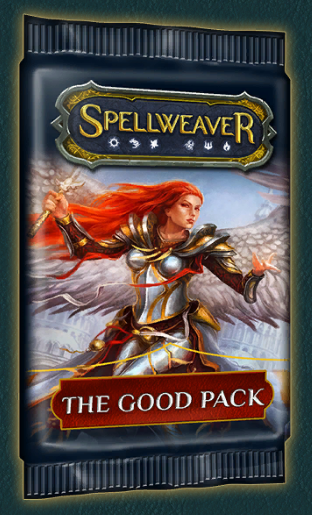 - Most packs use a semi fixed rarity distibution (normal pack: 1 rare, 2 uncommons, 7 commons). If you get a higher rarity card like an epic or a heroic, it will always replace a common card. Example: If you get both an epic and a heroic in a normal pack it will contain 1 heroic, 1 epic, 1 rare, 2 uncommons, 5 commons. - Pity timers do not work with escalating odds like in some other games. Instead they use a "counter" system. Every time you open a pack (of a type that has a pity timer) that does not contain an epic or heroic card the counter for that rarity is increased by 1. If a counter would hit the its specific number, marked "at least 1 in X" below, the pack you are opening is guaranteed to contain a card of that rarity. After getting an epic/heroic from that type of pack, regardless of through a natural drop or through the pity timer, the counter for that rarity is reset. Example: You open 7 normal packs and get an epic from the 7th resetting the counter. If you now open 11 consecutive normal packs without getting an epic, the 12th pack is guaranteed to contain an epic. - The content of a pack is generated when you open it, not when you receive it. - Packs with a shared pity timer share the same counters. Opening a normal, good, evil or premium pack adds to the shared counter and once a counter hits its critical number, opening any of these types of packs will guarantee you the epic/heroic card. Example: You open 4 normal packs, 1 premium pack (increases the counter by 2), 3 evil packs and 2 good packs one after the other without getting an epic. The next (12th) pack you open will contain an epic no matter if it is a normal, evil, good or premium pack. - The shared pity timer allows you to somewhat min max epic and heroic drops, if you are looking for a specific card. By opening a good or evil pack on the 12th (48th) pack you can effectively double your chances of getting a specific epic/heroic card (compared to opening a normal pack). - Small packs on average give you the same cards per gold as normal packs. However, since they don't have a pity timer or a fixed rarity distribution, what you actually get can vary a lot. 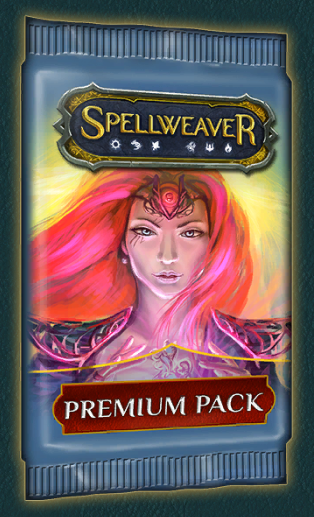 - 1 in 8 premium packs also contains an additional rare or epic card. - NEVER contains cards you already own 4 copies of unless you already own 4 copies of every card in that rarity slot. Example: If you already own 4 copies of every uncommon, you'll still get 2 random uncommons from every pack. - Can contain multiple copies of the same card. This can happen due to the rule above. Example: You own 4 copies of every common card except for one, which you own 0 copies of. Your next premium pack is guaranteed to contain 4 copies of the common card you were missing, completing your collection of commons. 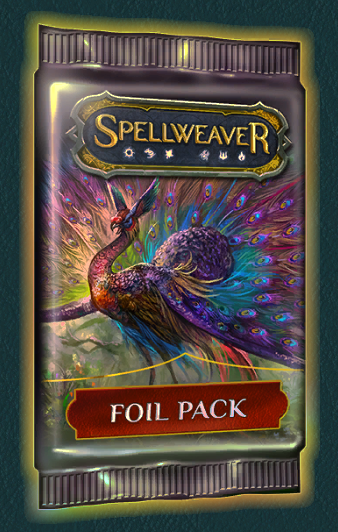 - All cards in this pack are guaranteed to be foil. - NEVER contains cards you already own 4 copies of unless you already own 4 copies of every card in that rarity slot (same as premium pack). If you already own 4 copies of every card in a rarity slot, you will get a card you do not own 4 foil copies of in that rarity slot. - If you have a full collection and are going for foils, you can use the rule above to your advantage. Before opening a foil pack unbind cards you want to have foil until you have 3 or less overall copies of them. The next foil pack you open will prioritize those cards over other cards in that rarity slot. Example: You have 4 copies of all uncommon cards (foil or non foil). You unbind copies of Soul Projection until you only have 2 copies of it. The next foil pack you open is guaranteed to contain 2 foil copies of Soul Projection in the 2 uncommon slots. - Can contail foil heroes. This is the only type of pack (aside from the hero pack) that can contain heroes. - If you unbind all the cards, it has the same shrine per crystal value as a normal pack (assuming a 100 crystal cost for the normal pack). - Considering crafting cost (not unbind value) this pack has potentially the greatest per crystal value of all packs by a large margin. However that is only relevant, if you are specifically going for foils. - You get a random hero pack of a hero you do not already own every 5 fame levels until you own all heroes. After that you get a larger amount of gold on every 5th level. - You cannot purchase the hero pack of a hero you currently own or have owned before. 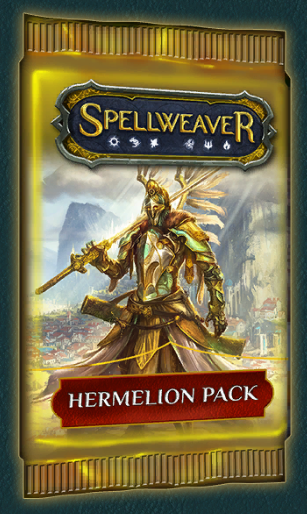 If you unbind a hero, you will have to craft it to get another copy (or you can pull a foil copy from a foil pack).